These adorable Easter bunnies on a stick, made out of just marshmallows, sprinkles and white chocolate. 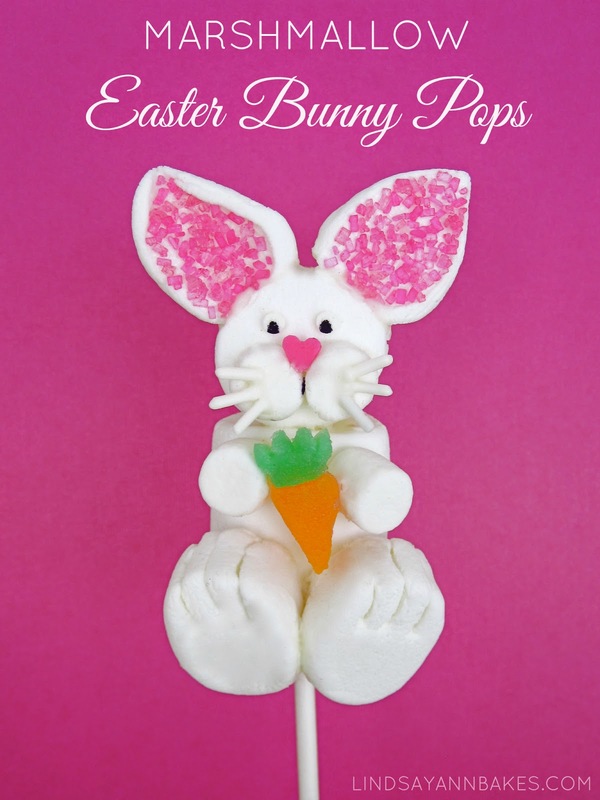 They make a perfect Easter treat, party favor or place setting that everyone will love. 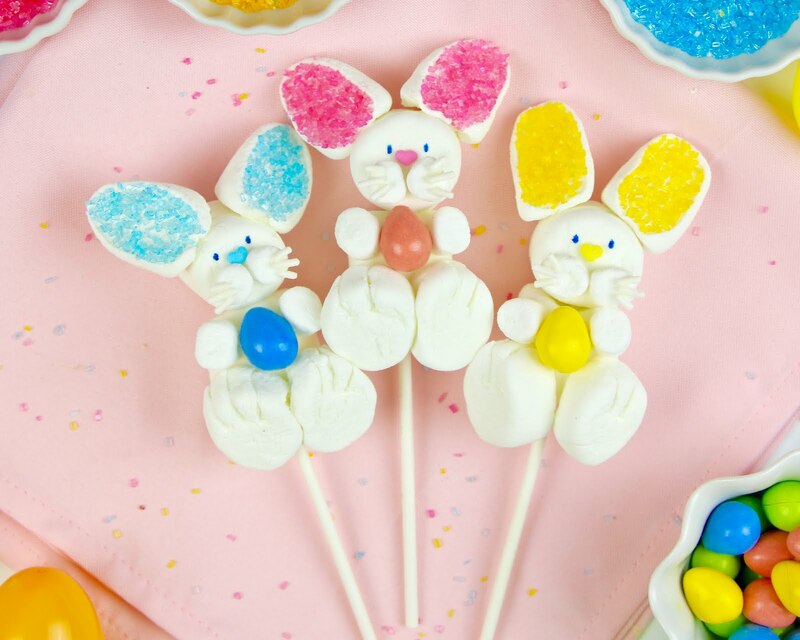 For each bunny you will need 4 regular marshmallows and 3 mini marshmallows. 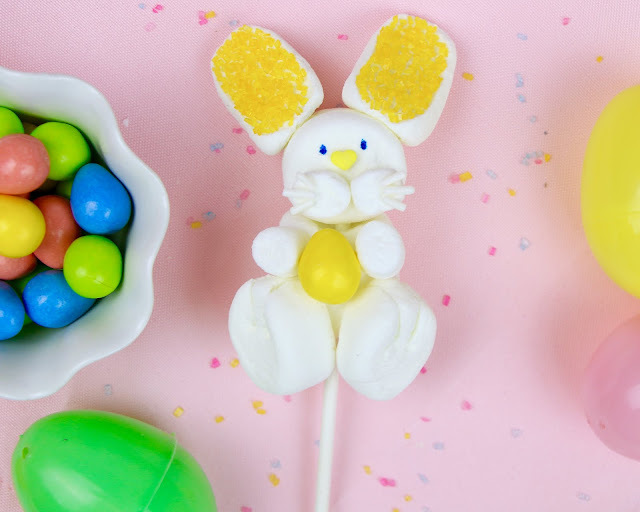 Push the lollipop stick through the flat side of one marshmallow (body) and half way through the rounded side of a second marshmallow (head) with the flat side facing forward. Cut a regular marshmallow in half width wise for the feet and snip slits for the toes. Press on to body. 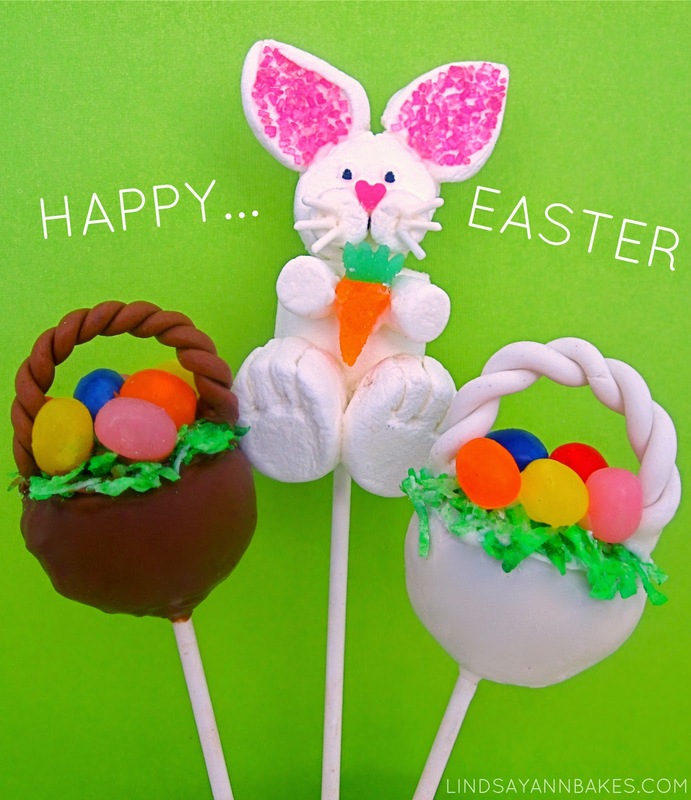 Use melted white chocolate to attach the egg to the body and two mini marshmallows on each side for the hands. 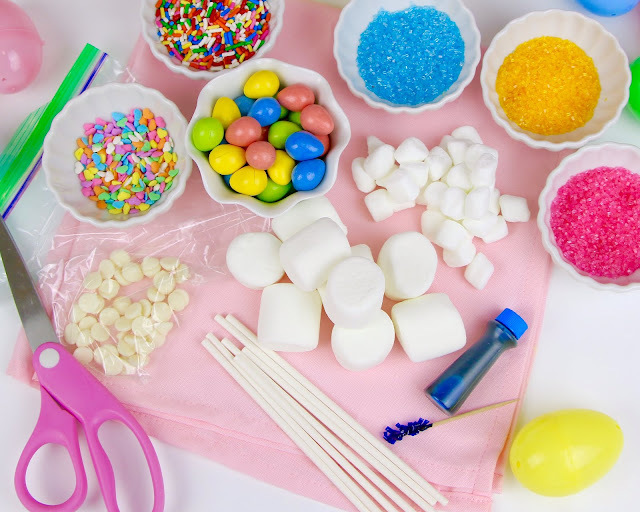 Cut a regular marshmallows in half diagonally for the ears and roll the cut edge of ears in colored sugar sprinkles. Attach to the top of the head. 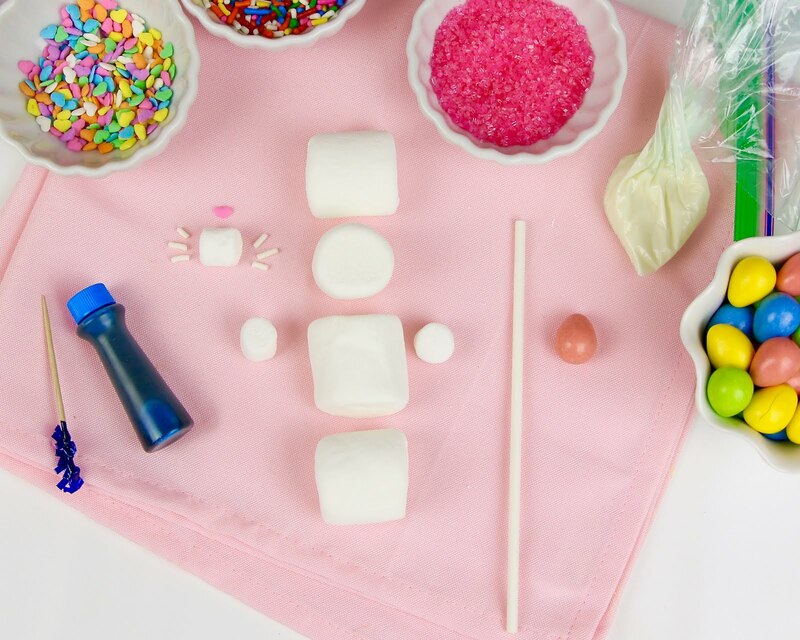 Cut one mini marshmallow in half width wide for the cheeks and attach white jimmies for whiskers. 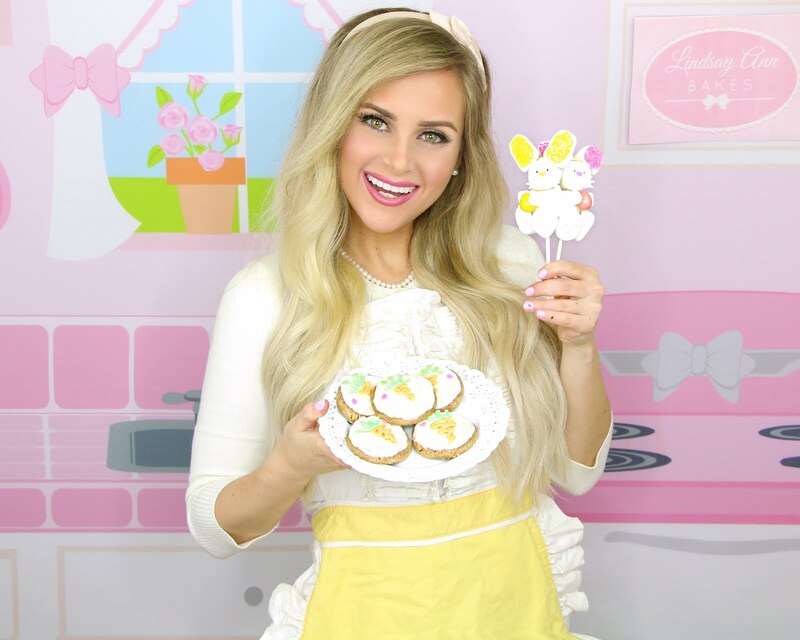 Draw on 2 dots for eyes using food coloring and a toothpick or an edible marker. For the bunny's hands you can use a jelly bean, chocolate egg or make a little carrot out of sour gummy candy by cutting a "V" shape for the carrot and trimming some greenery to stick on top. 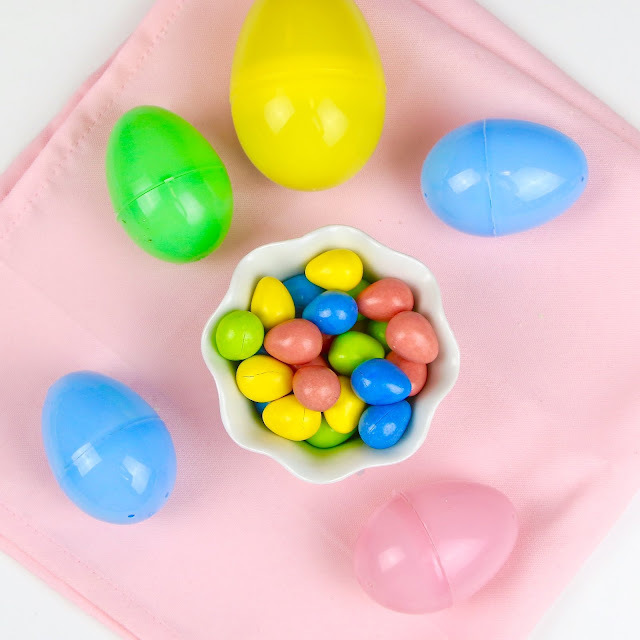 Attach a jelly bean "Easter egg" or a gummy carrot in the bunny's hands with melted chocolate.